Here is a quick recap of the changes that the 2018 Jeep Wrangler has received over its predecessor. Starting off with its design, the 2018 Wrangler looks modern while being true to its old-school rugged SUV image. Up front, it gets the signature 7-slot grill flanked by round LED headlamps and sleek new LED DRLs that run on now-slimmer front fenders. Around the back, the Wrangler features a large windscreen, while, along with the square-ish tail lamps, the mounted spare wheel and revamped bumper lend the SUV a squat stance. On the inside, the basic cabin layout is reminiscent of the outgoing model; however, it looks modern and has a minimalistic vibe to it. The Jeep Wrangler gets an 8.4-inch touchscreen infotainment system that crowns the central console and is flanked by circular AC vents. Below the touchscreen sit the controls for all the tech onboard. The instrument cluster retains the dual-pod setup; however, it gets a full blown 7-inch screen that displays information such as media playback, tyre pressure and digital speed readout. Read in detail about the 2018 Wrangler here. Internationally, the fourth-gen Wrangler is on offer with three engine options: 2.0-litre turbo petrol, 3.0-litre V6 diesel and a 3.6-litre V6 naturally aspirated petrol. However, in Australia, Jeep will replace the existing 2.8-litre diesel engine of the Wrangler, which we also get in India, with a 2.2-litre diesel engine. It remains to be seen what engines Jeep has in plan for India but we expect the Wrangler to come equipped with the new 8-speed automatic transmission only. This new gearbox replaces the existing 5-speed automatic unit. Jeep Compass India-Spec Vs Australia-Spec: What's Different? 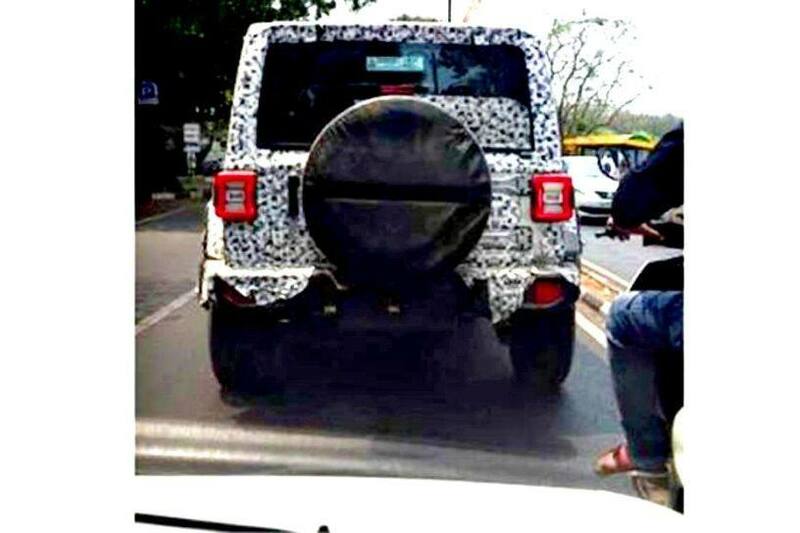 We expect Jeep to launch the fourth-gen Wrangler in India some time in 2018. When launched, it is likely to be priced in the same price range as the current model as it will also be imported into India as a CBU. Prices for the current Jeep Wrangler Unlimited start from Rs 67 lakh (ex-showroom Delhi) for the petrol version.